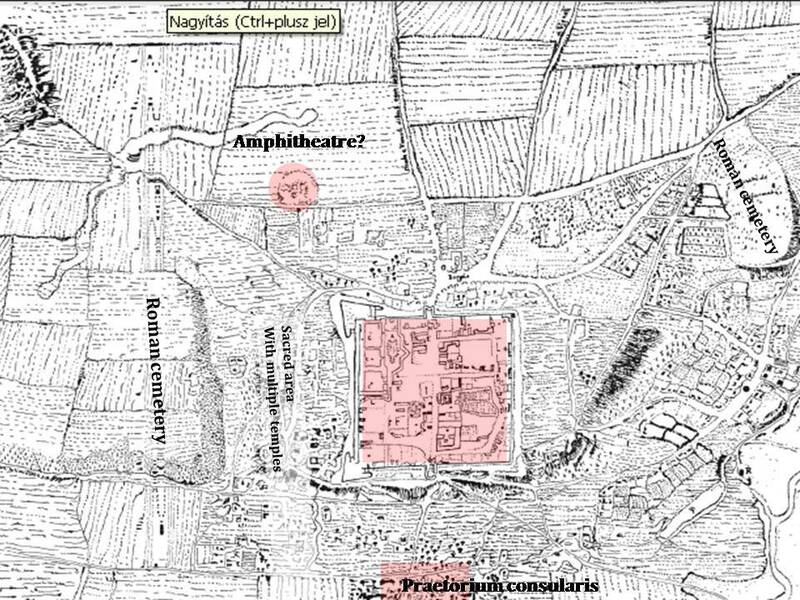 Although, I’m not a specialist in the archaeology and architecture of amphitheatres, the recently appeared articles in the Romanian press (1,2,3) emphasizing incorrectly the existence of an amphitheatre in Apulum and the recently appeared new studies (1,2,3) on the impact of these buildings on Roman society and the current excavations in Drobeta (1) urge us to correct some of the wrong statements in the press and reopen the century long discussion on the mystery of the amphitheatre(s) of Apulum. 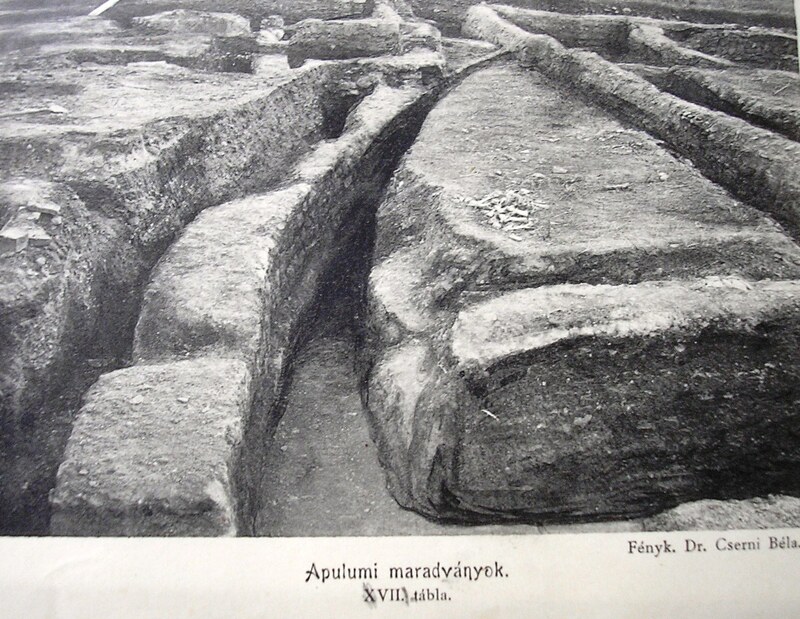 The recent articles from the Romanian press present a famous picture made by Béla Cserni, pioneer of urban archaeology in Transylvania in 1907, published a year later in the annual journal of the Association of Historical, Archaeological and Natural Sciences of Alba County (AVTXV, 1908, fig. XVII.). In the Hungarian text he clearly explain, that the picture represents an apsidal building of the “great baths” (later identified as the Palace of the Governors, Praetorium Consularis). He even published a detailed plan of his current excavations, where he marked with nr. 34. the room. Although the exact functionality of the room is hard to establish, the size of it (10-12 m long, 7 m wide) clearly show, that it was not an amphitheatre. This couldn’t be possible within a palace anyway. Unfortunately, the wrong interpretation of this picture is still outside on every Romanian portal, misleading the general public. As Vasile Moga proved in 1983, the map of Visconti from 1711 (one of the best sources for the topography of Apulum, showing Alba Iulia before the destructive modifications of the Habsburgs) presents a circular monument few hundred meters from the Roman fort. The area was intact till the 20th century, when in the 1930’s and 1950’s was built (the only curved street in that area is the Str. Violetelor). 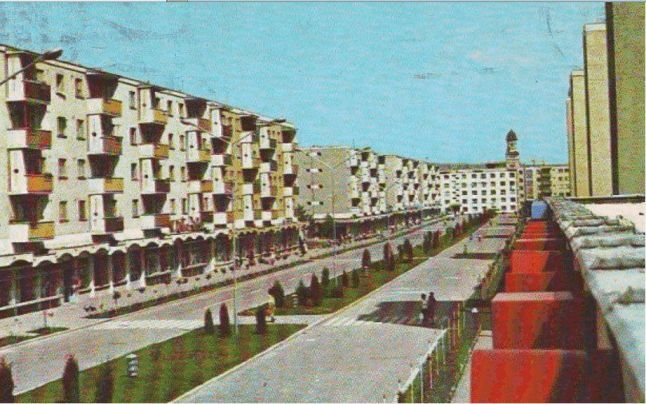 Monumental stone blocks were found in numerous places in Alba Iulia from this period: near the Casa Culturii but also in the territory of the modern Stadion. The ‘excavations’ were not reported or documented. Béla Cserni had his own hypothesis about the existence of an amphitheatre: based on a natural formation and some local anecdotes, he identified the possible location of the amphitheatre near the road to Kisfalud, Micesti, where is today the modern Stadion. the geophysical survey from the Apulum Project supposed the existence of a theatre or amphitheatre in the Colonia Aurelia Apulensis too. The results are not published. What is sure: we don’t have any direct prove for the existence of an amphitheatre in Apulum and that is a great mystery. If we presume, that there was only a timber-earth amphitheatre, that it is quite possible, that it disappeared during the severe modifications of urban topography and geography during the last 17 centuries. However, the above presented arguments indicates, that Apulum had a stone amphitheatre. There are no cities in the Roman Empire, where a stone amphitheatre was perfectly, totally dismantled and looted. It is physically impossible, that such a monumental building is missing. Future studies and excavations will need to focus on the aerial photographs from the 1930’s and 1940’s which could help us to identify and maybe solve one of the biggest mysteries of Apulum.